Before we go too far with deciding if you want to be an entrepreneur, I think we should discuss what exactly an entrepreneur is. And from the root: 1875-80; < French: literally, one who undertakes (some task), equivalent to entrepren (dre) to undertake. So let’s get this right. 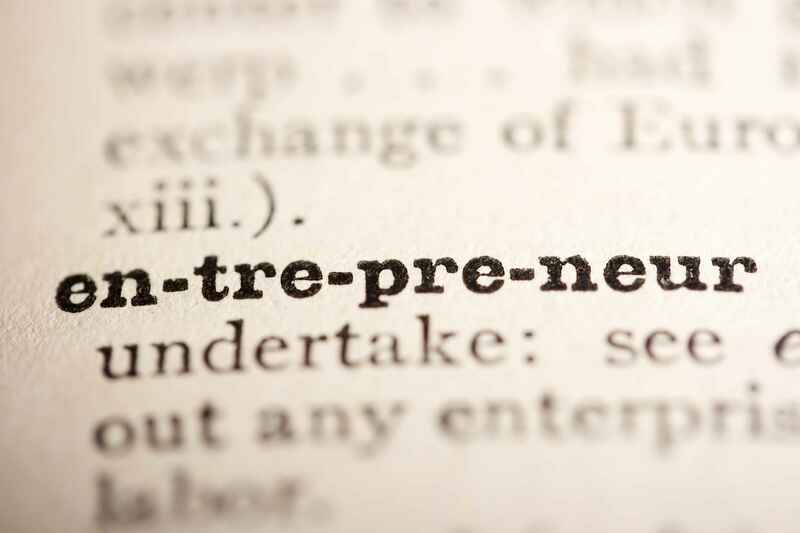 An entrepreneur is one who undertakes some task—usually in business—but not necessarily. Ok, I read them and to different extents each one of those says “try.” Not one of those things is an actual delivery. You might try to corner me with #2 or #3, but there is a big difference between “promise” or “guarantee” and deliver. It’s the exact difference between saying and doing. So the actual root, non-Hollywood meaning of an entrepreneur is a person who tries to do something of their own accord. There is never a discussion of success or failure, riches or bankruptcy, winning or losing. You tried to achieve something without being told to do it. You are an individual with initiative. Joking aside, let’s look at some of the demographics from the Small Business Association (SBA) and other resources. So to put a label on it, if you are male or female, any known race, native born or immigrant, generally between the ages 20–64, and have between some school or a couple of PhDs, you have pretty much even odds of being an entrepreneur. Of course you can start playing odds and put this against census data to figure out what slices of the population has a greater chance, but really what do you gain by that? If you fall into the group of human being you can be an entrepreneur and—give or take—you have the same statistical odds of success as everybody else. I know times are a little different than when my grandparents were young, but the concepts are the same. My grandfather started his automotive repair shop in his late thirties, when he sold it to retire he had an 8 bay garage with about a dozen people on staff. The interesting part is he was an original Okie, a migrant agricultural worker from Oklahoma who had been forced to leave during the dust bowl of the 1930s. He never went past the third grade and learned to read in his mid-fifties. What about leaving an existing job? About 80% of new entrepreneurs were employed before they began their startup. Which means four out of five people left a paying job. All of a sudden you don’t feel quite so alone or crazy do you? Okay, so why do we think entrepreneurs are some young, fresh out of college or some rich guy with a jet, yacht, or electric race car? Because Hollywood sells what it can sell. Nobody is ever going to watch a show about me because I’m boring. Honestly, most of the people who actually make America go around are boring. Entrepreneurs and actors are very different things. But there is that reality show with entrepreneurs, you know the one, and if you watch at the end of the show during the credits, you will notice they have writers. That means they are a story. If it were 100% non-fiction, they would not be called writers, they would be reporters and editors. Believe it or not most entrepreneurs are backed by themselves or their family and friends. I don’t have an exact number on it because the statistics are muddy here but I figure about >99% are self-funded or a combination of self/friends/family funded. That means <1% of the time is someone else that is not you, friends, or family footing the bill for your idea. The reason this is muddy is because of the timing (are we talking about the first year of the business, or in year 3-4 where you’ve got some mileage under your belt). More than likely during year 0-1, it’s probably going to be your money or your obligation to pay. You have that feeling deep inside that you are an entrepreneur; that feeling is in YOU, not necessarily in your family and friends. I assure you that you are not going to do this alone and you now need to convince family and friends that you are an entrepreneur (future small business owner). The very first part of that process it to break down the stereotypical views of what is portrayed and cast the light of reality onto the subject. If you do this right, you will find yourself within that light as well. If you say yes to these three things, welcome to the club. You have met the primary requirements of becoming an entrepreneur. Now it’s time to start working on your family and friends, start being the entrepreneur, putting yourself within light of reality and paint the we can do it picture. Because like I said earlier, I guarantee you cannot do this alone, you can try, you will fail. You need as much “WE” as you can get, so your first job as an entrepreneur is simple. Find and recruit as many family members and friends to your endeavor as you possibly can, convince them to donate time, money, sweat, and blood, with no guarantee of success, riches, victory. Continue reading Don’t Quit Your Job!